Slender, sophisticated, understated. 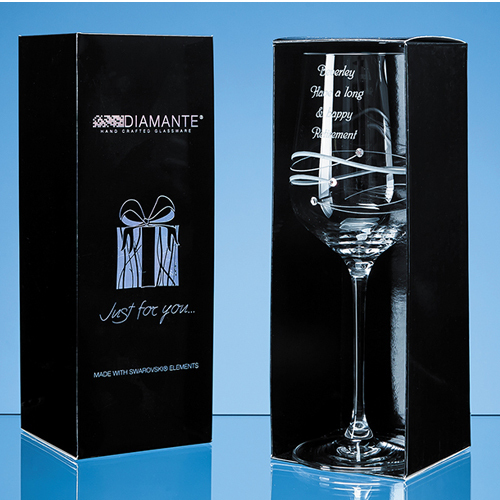 This elegant, contemporary Just for you wine glass is hand cut with a delicate stylised swirl design and sprinkled with three sparkling Swarovski Diamante crystals. There is a generous space to engrave a logo, crest, dedication or inscription, making it ideal as a personal or corporate gift or memento. Plus it is packaged in a beautiful designer presentation box.